Main Phase: Pay 2 action tokens and discard your hand to turn this card over. 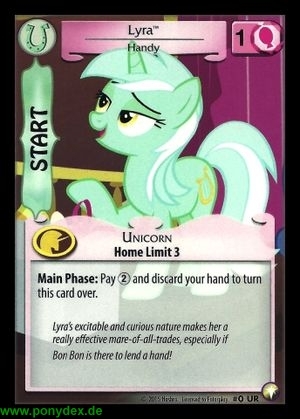 Lyra's excitable and curious nature makes her a really effective mare-of-all-trades, especially if Bon Bon is there to lend a hand! 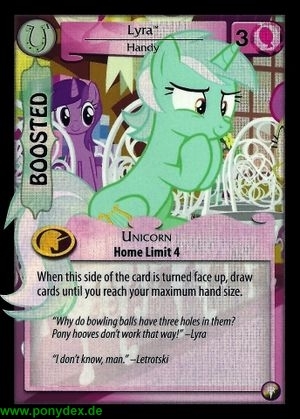 When this side of the card is turned face up, draw cards until you reach your maximum hand size.